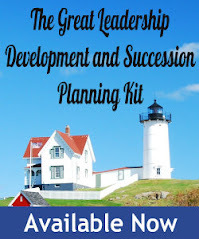 Great Leadership: Take the Talent Management Challenge – Win a Free Book! Take the Talent Management Challenge – Win a Free Book! 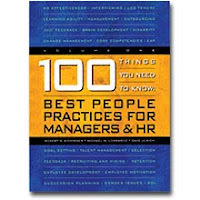 I recently purchased a book from Lominger called 100 Things You Need to Know: Best People Practices for Managers & HR. I thought it would be fun to do a contest to test your knowledge. I contacted Lominger and they’ve given me permission to publish a few questions and will provide a couple free books for the contest – list price is $39.95! Email me (dmccart3 at rochester dot rr dot com) with your answers to all 10 questions by the end of the day, next Friday, 10/23/09. The first two with all the right answers wins. If no one gets all 10 right, I’ll select and announce the two winners with the most correct answers Monday, 10/26/09, along with the right answers (according to the book) and implications. In case of a tie, I’ll use a random generator to select the winners. If you’re a real smarty pants and feeling very confident, you can post your answers in the comments section for all to see. Full disclosure: this is not a paid promotion. I have no business relationship with Lominger other than being an occasional customer. 1. Who is the least accurate judge of a manager’s job performance? 2. What is the relationship between being smart (having a high IQ) and the ability to manage others effectively? 3. How accurate are the ratings on formal performance appraisal evaluations? 4. What is the effect on others of a person asking for and seeking negative feedback? 5. How skilled are managers, in general, at being good coaches and helping others develop their long-term careers? 6. What is the most likely outcome of people focusing exclusively on developing their strengths and doing only those jobs that match their strengths? 7. How do high performers rate themselves compared to low performers? 8. What percentage of high potentials succeed after they are promoted? 9. What most often gets managers and executives terminated? 10. What’s the most effective long-term talent acquisition path to follow? Go ahead – take the challenge! Better yet, pass it along to your team, your colleagues, or your networks and have a little fun competition. Or, you can work on it together as a team and submit your collaborative answers. Our team has taken the challenge! We look forward to winning the book! We need it for our organization! I am, only sometimes, a smarty pants and I am not confident at all of my guesses here, but I don't have a whole lot of shame either so what the hell. These were tough! Looks like a good book. Thanks for the challenge. E.
24 entires as of end of day 10/16. NO ONE has gotten all 10 right. 32 entries, and one winner so far. I still have one more book to give away.